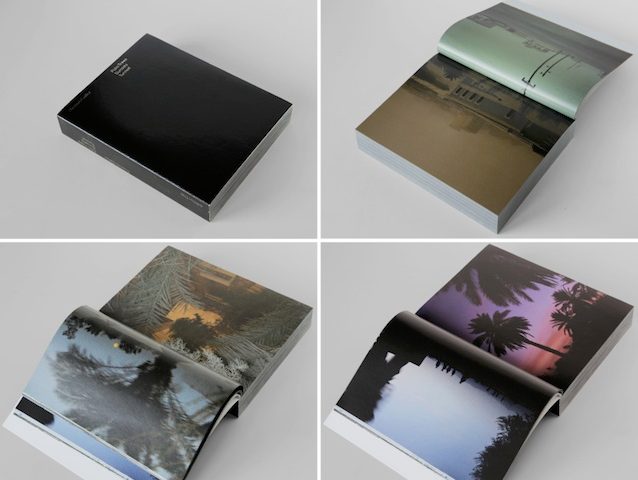 Thomas Galler’s Palm Trees, Sunsets, Turmoil comprises almost 1,000 pages of photographs collected from various online platforms such as Flickr, Panoramio and Photobucket. They show, among other scenes, familiar, clichéd sunset scenes; idyllic settings featuring beaches, palm trees and shimmering seas. But this semblance is deceptive. The images don’t stem from dream holiday destinations, but from the military occupation of Iraq (2003–2011) and the war in Afghanistan (from 2001). Taken by soldiers of the occupying armies, reporters and Iraqi and Afghani collaborators, they were published online via private social media accounts. Thomas Galler’s series challenges us to look beyond the boundaries of the visible. Today, images must be viewed with suspicion, no matter how private or innocent they may appear: the political turmoil doesn’t just provide the background (noise) to Galler’s Palm Trees and Sunsets, it forms the necessary condition for any critical consideration of photographic images.